Summary: John and Laura Baxter are in Venice when they meet a pair of elderly sisters, one of whom claims to be psychic. She insists that she sees the spirit of the Baxters' daughter, who recently drowned. Laura is intrigued, but John resists the idea. He, however, seems to have his own psychic flashes, seeing their daughter walk the streets in her red cloak, as well as Laura and the sisters on a funeral gondola. It is blurry, it is horrifying, it is unsettling, and it features an elusively crafted closure. 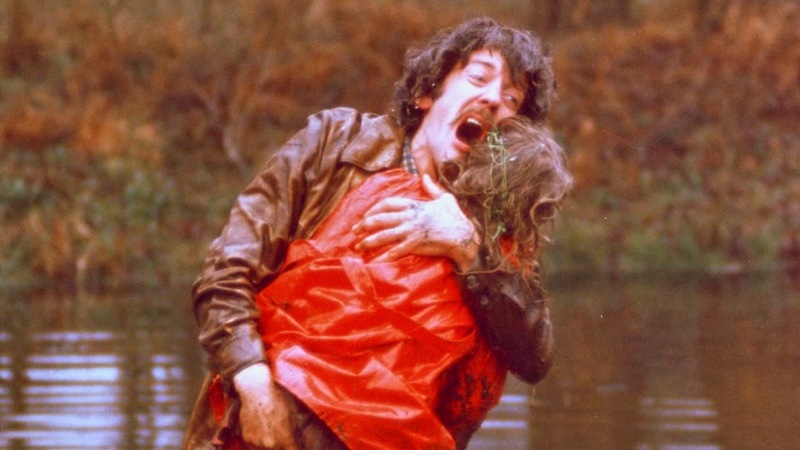 Directed by Nicolas Roeg, Don’t Look Now is a film that will certainly keep haunting you forever if you would dare, for once, let it hold you. 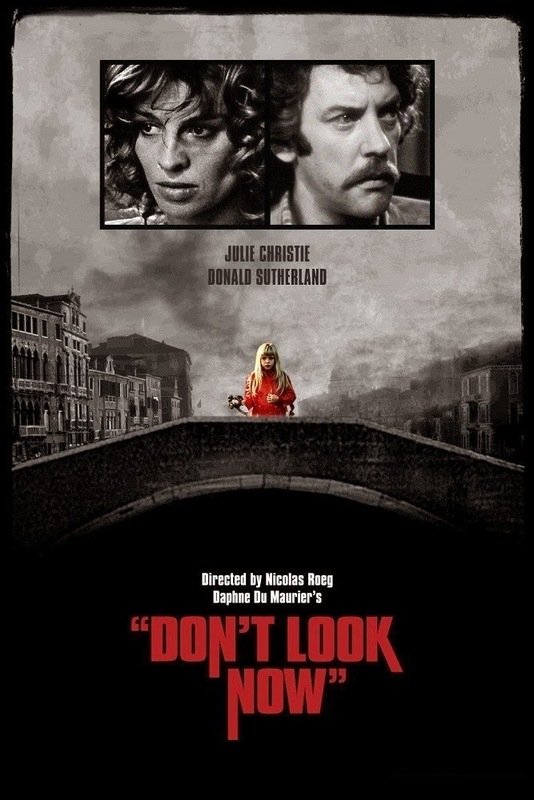 Starring acclaimed actors Julie Christie (as Laura Baxter) and Donald Sutherland (as John Baxter), Don’t Look Now is written for the screen by Allan Scott and Chris Bryant, adapted from an original short story by Daphne du Maurier. John and Laura Baxter have lost their daughter Christine in a terrible accident. Laura is devastated and is in grief. She and John are now in Venice, Italy. John is assigned the work of restoration of an old church. While they are here, a murderer is also on the loose. The couple encounter a strange woman, who is blind, but paradoxically, is gifted with a ‘second’ sight. She claims to Laura that she is ‘seeing’ her daughter and warns them that their life might be in danger in Venice. I had previously seen Walkabout (1971), a critically acclaimed independent film by the same director, before watching Don’t Look Now. I was aware of his non-linear narrative style, so I wasn’t too perplexed this time. Here, he achieves it by marvellous, meticulous editing, fine use of montage and brief cuts. It acts as a device to emphasize the theme and elements of the film which exudes originality and is a testament of Roeg’s mastery of allusive storytelling. Not only do those seemingly random frames keep the audience guessing and indulged, they also add to the depth of the film. The movie reveals the plot incoherently while giving an insight into the characters’ cognitive state and the symbolic ideas the director is trying to relegate. Nicolas Roeg, formerly a cinematographer, had already impressed me by his breath-taking photography of the diverse wilderness of Australia in Walkabout, with his very distinctive style. In Don’t Look Now, Roeg just about does justice to the surreal, enigmatic beauty of Venice—the city of history, romance and art. The opening shot is incredible to say the least; it sets the whole tone of the film, it is long, but it is extremely well paced where plenty of incidents take place. And, in contrasting juxtaposition, the shot of a dying ashtray, with fire, growing vigorously in the next frame, and close up of Christine, smiling naively while her brother falls and Laura, irritated; the idea of premonition is put forward brilliantly with the use of concise, fast cuts and dynamic vision of the director. The use of colour, especially red, is distinguishable throughout the film. The sudden death of their daughter leaves the parents in disbelief, as we also do feel the same way. Cinematography takes the scene to a next level with shots of serene country setting while montage doing the rest. The night shots of Venice are majestic and intimidating at the same time. They are chilling and when coupled with old buildings, water and rats create an absolutely frightening atmosphere. The shot which left me stunned was the couple’s love making scene at a hotel in Venice. It was sensual, arousing, aesthetically shot and ingeniously edited. It was very bold, intense and intimate. The brief cuts in between captured their routine after the scene, like a sinusoidal wave, a ride of emotions, of course, rising and falling in intensity in a haste, somewhat signalling their lingering state of mind. It captured the lust of the couple as if they were finally united after a long time. The stark nakedness of their agitated souls, warmed with love, with alternating cuts of them, dressing up, getting their senses back, far from each other, still, tranquilized, just after this very togetherness, alone. The film is superbly acted; both Donald and Julie in their prime do outright justice to their respective characters while bringing a sense of reality and intimacy to their relationship and the overall performances. The supporting characters are a bit strange and twisted, but the supporting cast has done a very decent job. The music and score is very good, brilliantly complementing the visual nature of the film. Art direction has been paid a lot of attention, as you would expect from a film like this where composition plays a vital role towards the look of the film. The church, old buildings and the interior sets are a very fine example of composition. 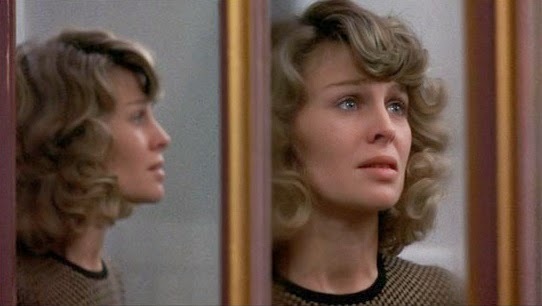 Don’t Look Now is primarily an intricate tale of grief, with many ideas to ruminate upon, like the transcendent nature of our unconscious mind over the reality, being different from what it seems. 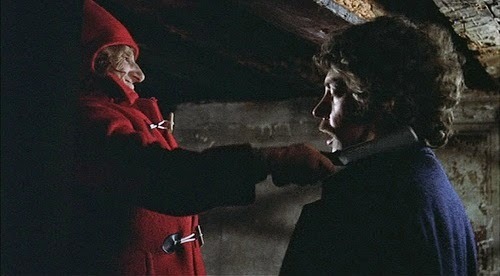 The title itself, “Don’t Look Now” prompts discussion, it maybe a warning, telling the protagonist to wait. Look as in search of what’s missing, or ‘seeing’ that which is not visible. What about the mysterious figure we see in the slide of the church, and the reflection of Christine in the pond, what was John actually seeing there? Was it the murderer? A There is lot more to it than what it suggests. What happens in the climax is a result of the huge build-up of tension, terror and threat, all of which is released at once, leaving us in a state of sheer trauma. Don’t Look Now is a great example of a unique style of filmmaking that treats us with the film medium as a form of intellectual and emotional expression just as much as visual art, which makes it an unforgettable experience. Tanmay is an online film critic and a filmmaker who was introduced to cinema when he explored his elder brother’s collection while he was around 10. A few years ago he discovered IMDb.COM and since then he has been obsessed about everything related to cinema. He had accidentally read a book on directors and the name which he remembered was that of the master of suspense Alfred Hitchcock, and he believes that his passion for cinema springs from his love for Hitchcock's work. 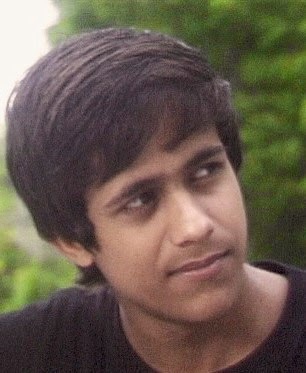 Apart from movies, Tanmay has keen interests in photography, art, travelling, reading and writing. Readers, please feel free to share your views./opinions in the comment box below . As always your feedback is highly appreciated!